Ashford.com is reliable they have been around a long time. 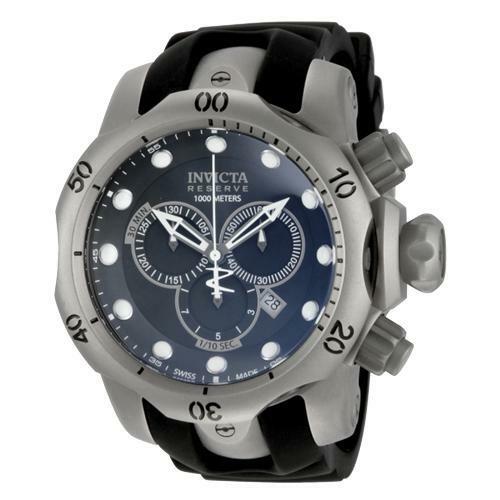 Most of the on-line dealers are selling grey market watches. This means an AD is overstocked or has to high a qouta on a specific model. He can't move them even on sale so he makes a deal with an on-line dealer who has a broader customer base and he can get rid of the excess inventory. Down side is no manufacturer warrenty it is given instead by the seller also sometimes the serial numbers are removed so the manufacturer can't trace the AD that sold it. Most if not all manufacturers won't touch a watch with no serial number, some even confiscate them as stolen goods. ...they are by no means cheap. They also sell some watches with serial numbers removed - a very bad thing. Never buy a new watch that does not come with the manufacturer's warranty. Great thread, although costly. A few months after reading this thread I went from just an Accutron to a Tag Heuer formula one, Now I just picked up my Rolex Submariner lv. Gotta love new hobbies. I am currently wearing a Pepsi GMT II, but I have a list of watches in my safe. Clock on my Palm Treo, soon to be Palm Pre. Before that, Wittnauer. 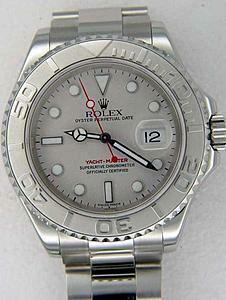 Will look for a used Rolex when the economy gets worse. You have a good watch. I'm looking for a cheaper watch that will fit my budget. 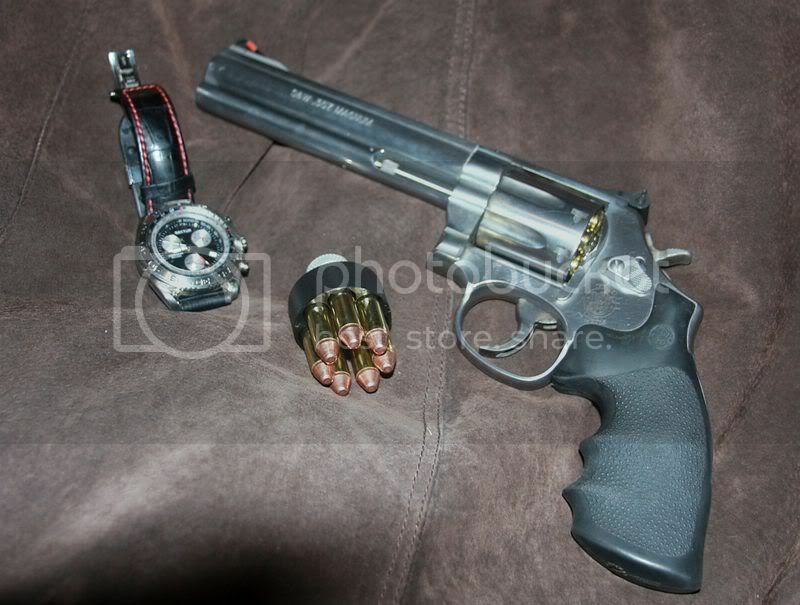 Hope I can also find a watch similar to this. Have a look on RADO Multifunction. Last edited by eminnet; 06-29-2009 at 05:09 PM. 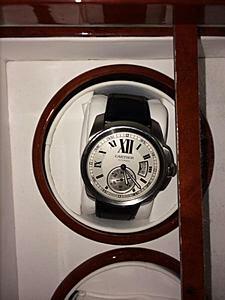 Fossil or Kenneth Cole daily and a Tag Hauer. 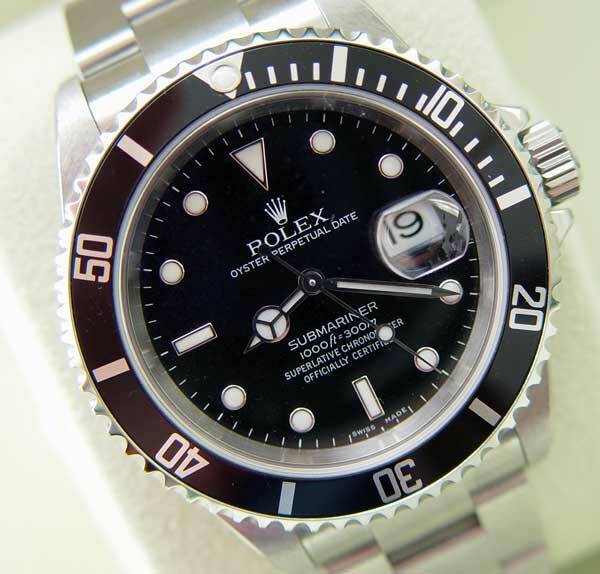 -Black dialed Rolex Submariner, just like in the attachments in the post before mine. I'm starting to realize this watch isn't as unique as I thought it was when I bought it a year ago, I see them everywhere now. -White dialed Breitling Montbrillant Datora, a truly EXCEPTIONAL, unique and stylish watch. My favorite. 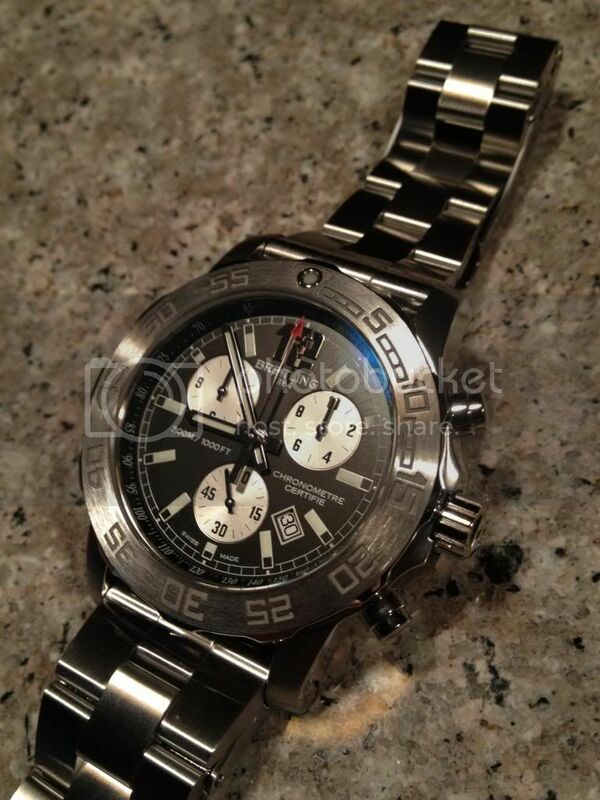 -Black dialed TAG Heuer Carrera Automatic with a stainless-steel band, a simple, classy, but non-flashy watch. Seriously? 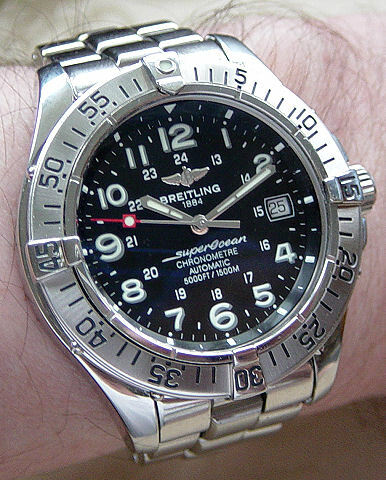 I'll take my Breitling over any Rolex any day of the week. 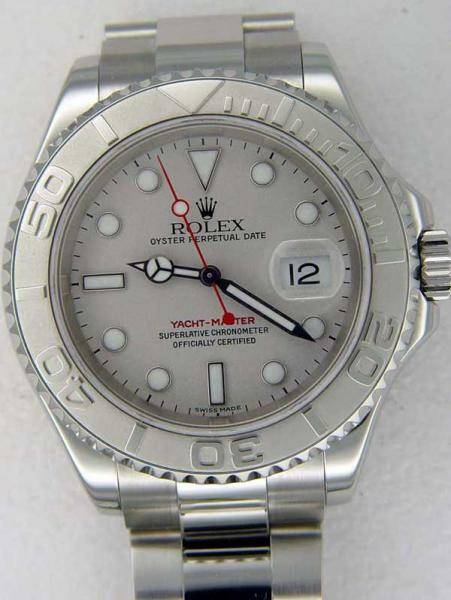 My Superocean Professional is 5000 ft WR- Let Rolex try to touch that. I have a number of other watches and don't care if I can brag about what brand they are- I buy a watch because I like it or because it is different. Last edited by AkaSigFreak; 11-27-2013 at 12:09 AM.